Some sources call this the ‘Abbot’s Barn’ and some the ‘Bishop’s Barn’. It was built in the fifteenth century from roughly dressed local stone with ashlar from Doulting. It has 12 bays with a central midstrey and gabled porches. 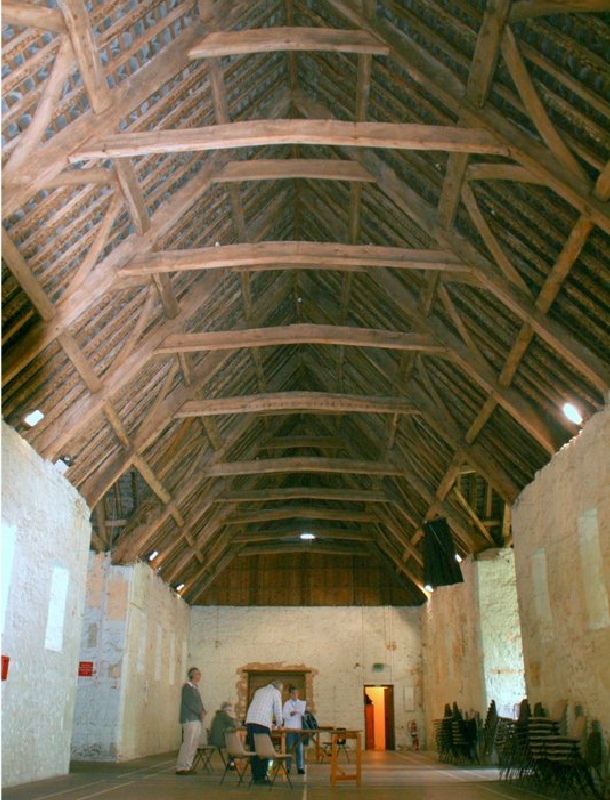 Inside it has a raised-cruck roof with double collar beams and arched wind-braces between the first and second purlins. 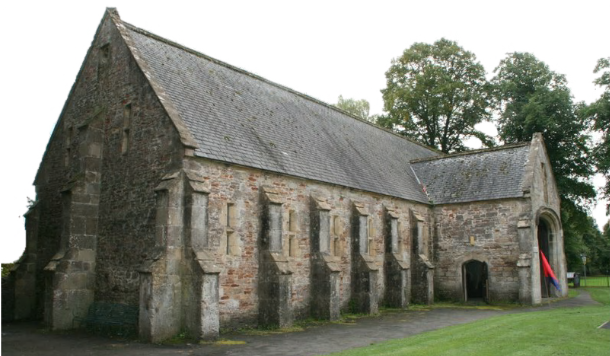 The barn was used as an assembly hall during the twentieth century and now ‘The Friends of Wells Recreation Ground’ are seeking to save it as a community amenity.